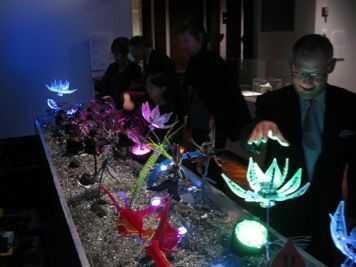 This responsive robotic sculpture installation was exhibited at the Cooper-Hewitt/Smithsonian National Design Museum as part of their 2003 Design Triennial. 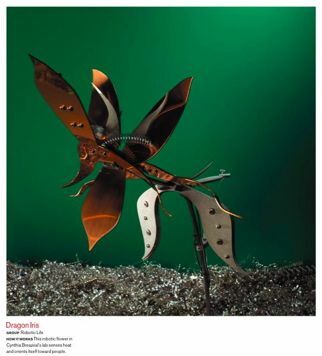 My contribution was the mechanical design for the copper flower pictured above. The four person team included Jeff Lieberman, Blake Brasher and Dan McAnulty.